Kanye West and Donald Trump still have a mutual love for each other and it doesn't look like that will change at any point in 2019. The Chicago native has been incredibly vocal about his support for Trump within the last year and the 45th president has reciprocated the praise. After Kanye announced that the MAGA hat is an official staple in his wardrobe, Trump showed Kanye West some love during the first Cabinet meeting of the year. Donald Trump held the first Cabinet meeting of 2019 where he discussed several pressing topics such as the government shutdown and the necessity of building a wall along the border. In the midst of all of this, Trump reported showed love to Kanye West. According to CNBC reports Q Mui, Trump referred to Yeezy as a "smart, good guy." Trump's shout-out comes a day after Kanye confirmed that he's still Team Trump. 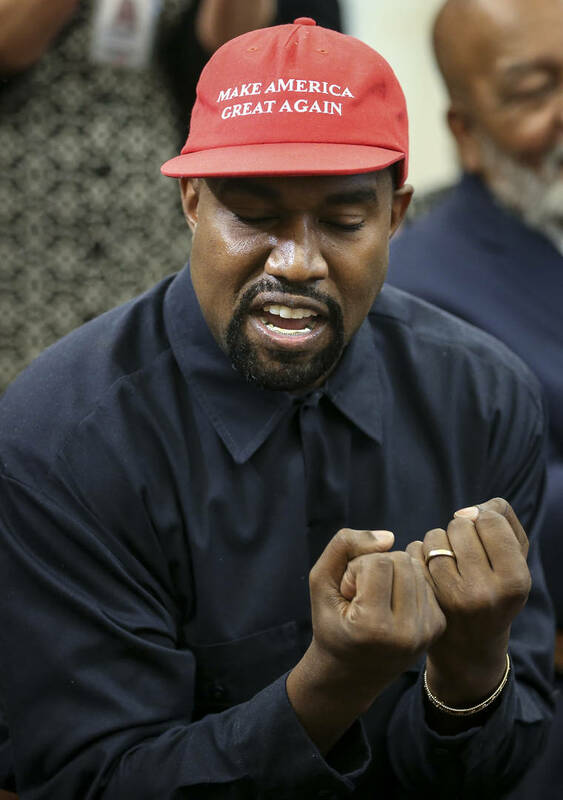 The rapper took to Twitter to reveal that he'll be wearing the MAGA hat during every performance before explaining the hat's significance to him. "One of my favorite of many things about what the Trump hat represents to me is that people can’t tell me what to do because I’m black," he wrote on Twitter. Aside from stanning Trump, fans have been eagerly awaiting Kanye West's upcoming project, Yandhi which has been pushed back twice already. There hasn't been any confirmation for a release date, but we'll keep you posted. Peep the cabinet full hour-long meeting below.